OMG Posters! » Archive "Mountain High" Art Print by Matt Gordon at 1xRUN - OMG Posters! I’ve gotta say, I really think the 1xRUN business model is working well. They always seem to be releasing great pieces that are easy to get ahold of. 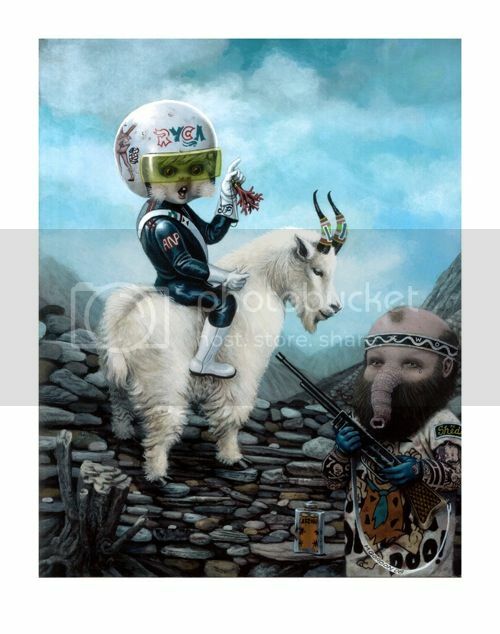 Matt Gordon’s “Mountain High” is a 13″ x 16″ giclee for $40. It will be sold for six more days, or until the edition reaches 40, whichever comes first. Visit 1xRUN.com. +1. Real painting skills here.